Can you remember 10.05pm on Thursday, 7th May 2015 ... with the shock news that BBC Exit Polls suggested the Conservatives would be returned with majority? Melton Mowbray landlords had something to cheer about as the Conservatives were always considered to be a political party that accepted the importance of the rental market, supported its development while properly targeting the lawbreaker landlords renting out below standard rental accommodation. Since May though, George Osborne announced future rises in stamp duty for buy to let landlords and a change in the interest relief on buy to let mortgages, some people have started to question that loyalty. I will admit the loss of mortgage higher rate tax relief will make a number of properties not stack up financially. The new rules are likely to slow demand in the Melton Mowbray housing market, which is in fact good news for the other landlords, as there is less competition from other rental properties available to let. run their numbers more cautiously is not such a bad thing. Over the last 12 months, property values in Melton Mowbray have risen by 3.2%, not bad when you consider inflation is running at -0.1%. The really interesting information is the value growth, but what types of property are actually selling in Melton Mowbray? Looking at all the properties sold, as recorded by the Land Registry, within 2 miles of the centre of Melton Mowbray in September 2015 (this data always runs a couple of months behind the house price data) compared to September 2007 (a couple of months before the credit crunch started to bite and the subsequent property crash). Now I have mentioned in previous articles that the numbers of properties selling in the town has certainly dropped post 2008, but what amazed me were the drop in the number of apartments selling in Melton Mowbray compared to the rise in sales of detached, semis and terraced properties. interesting times ahead for the Melton Mowbray Property market! Therefore, all I can say to the landlords of Melton Mowbray is do your homework, make sure the numbers do stack up, take advice and opinion from professionals and above all, for those of you planning to add to your portfolio, buy the right property at the right price. Please do not hesitate to give me a call or pop into our office on Burton Street. This well presented 2 bed terrace, around the corner from the Algernon road one, has come onto the market with Newton Fallowell. It is listed at a shade under £135,000 and should let for £575 pcm. If purchased at the asking price it could produce a 5.1% return for an investor. 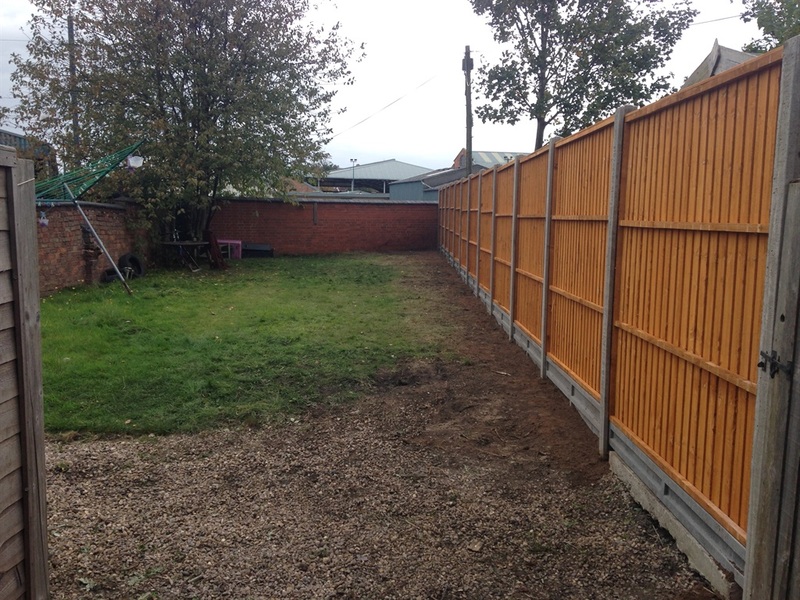 It looks to need very little work and has great curb appeal and an easy to maintain garden. 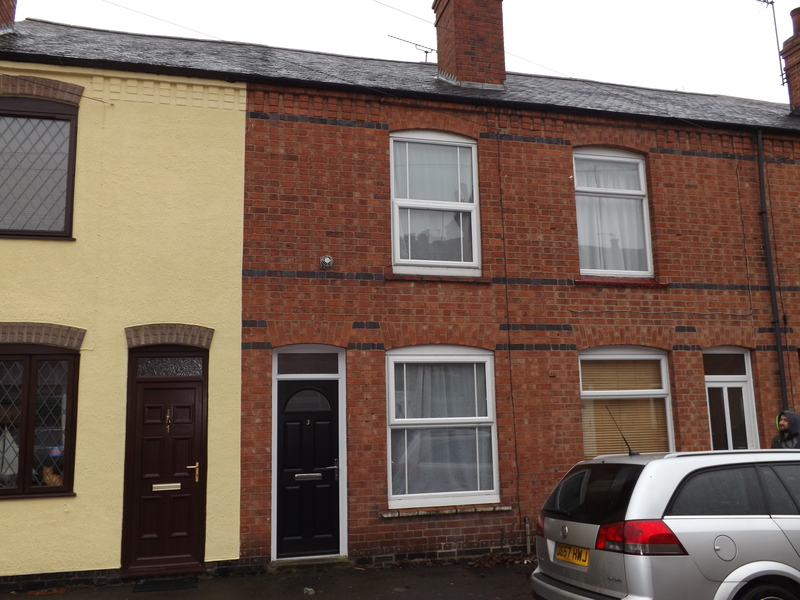 Offering a good entry to buy to let investment this 2 bed terrace is on the market for sale at £120,000. 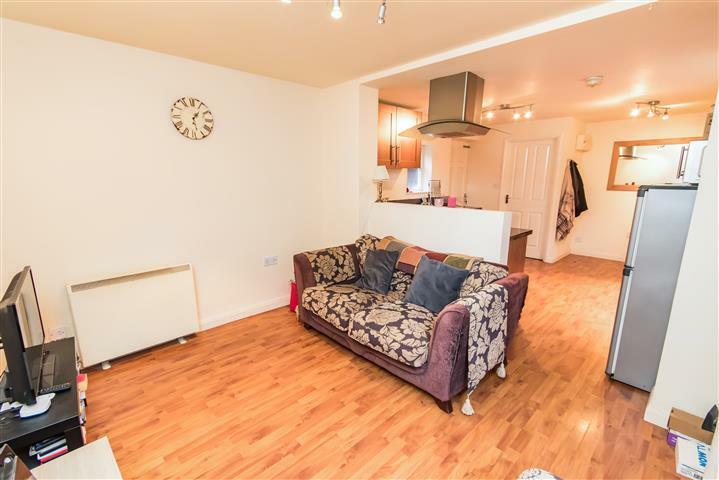 It would let for a minimum of £525 pcm which would give a potential return of 5.2%. 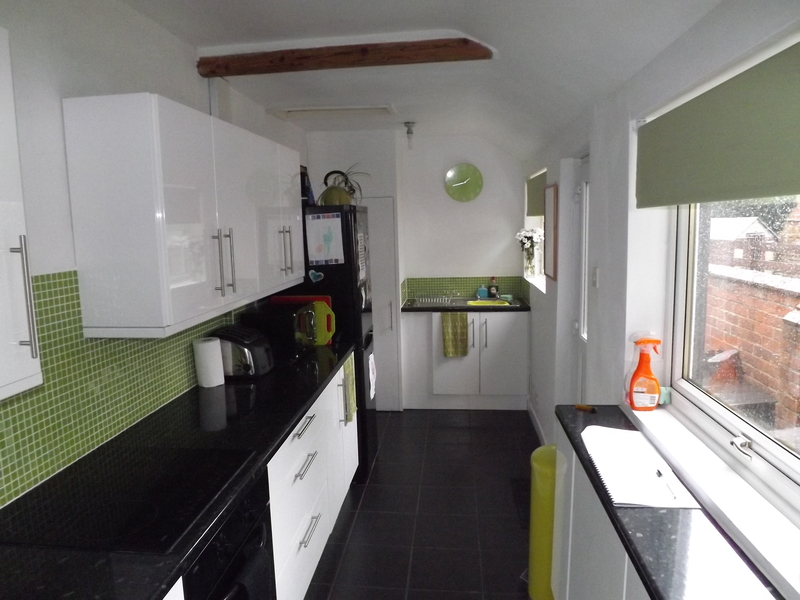 If its as nice inside as the pictures look then we would hope to get nearer £550 pcm. 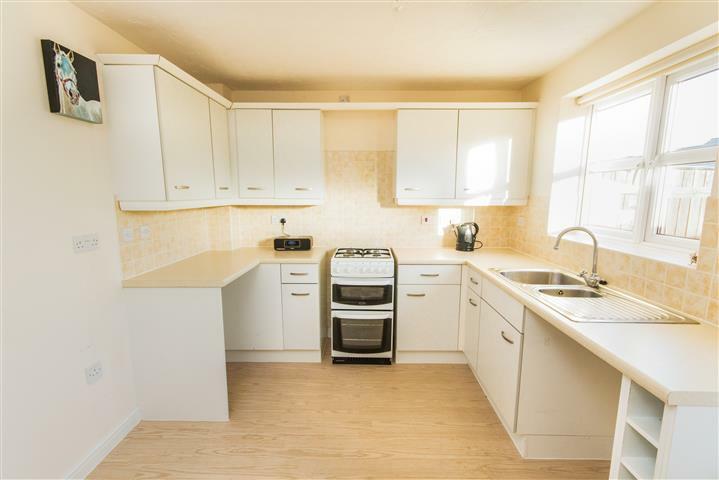 This is a popular area for tenants and with this kitchen and bathroom it would let really quickly. On a cold wet evening last week I met a landlord who had been self-managing his buy to let property over the last few years. He was worried with all the new legislation that had been introduced recently. He was particularly concerned about the up and coming ‘Right to Rent’ legislation, so as his tenant had handed in their notice recently, on this new tenancy he called us for our opinion. Landlords will need to check the immigration status of any new tenants moving into properties from February 2016 or face a £3,000 fine. It is called the 'Right to Rent' rules. However, tenants should also be aware that as well as traditional landlords, tenants who sub let rooms and homeowners who take in lodgers, must also check the right of prospective tenants to reside in the UK. He wanted to know how much of a real issue was ‘Right to Rent’ in Melton Mowbray. I was able to tell him, the last available figures (from a couple of years ago) show that 11 people (whom were registered as Non-UK Born Short-term Residents) moved into private rented accommodation in the Melton District Council area in one year alone. If all of those people weren’t supposed to be in the UK, that would be a fine of £33,000 to the landlords of the town. It must also be recognised that landlords, by checking up on tenants, could potentially be accused of discrimination under the Equality Act. This is a real minefield for landlords, especially when you consider that not all of the 1,028 Europeans in the area necessarily have the right to live in the UK either. 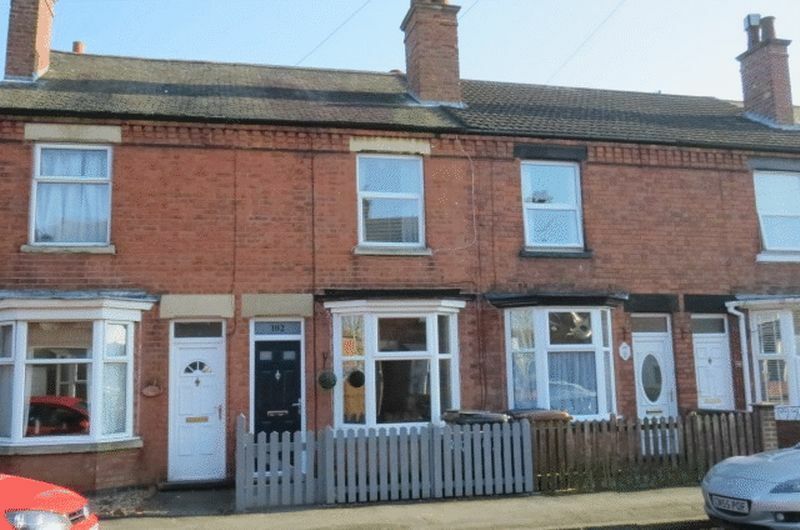 This 2 bedroom property is located on the north side of Melton Mowbray and is up for sale with Connells for £140,000. 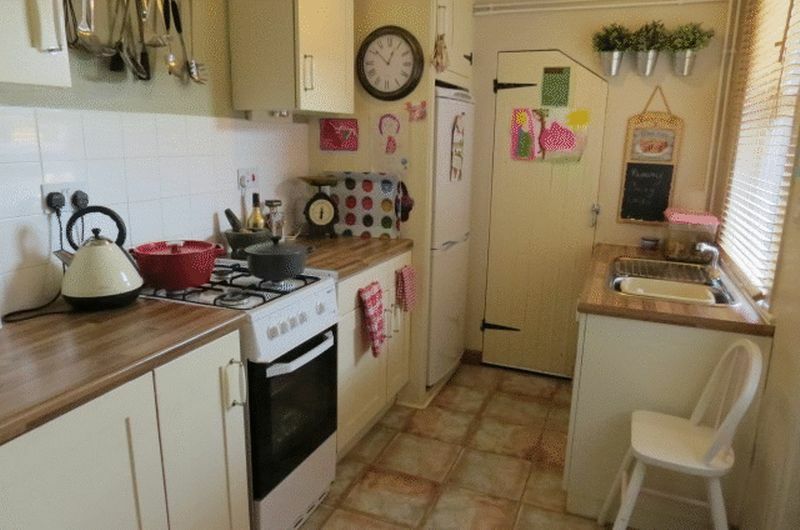 This property would easily let for £575 pcm with the current high demand for rental properties. This estate is popular with professionals commuting to Nottingham and Leicester. Elmhurst Avenue on the market for £134,950 - 5.1% potential return. 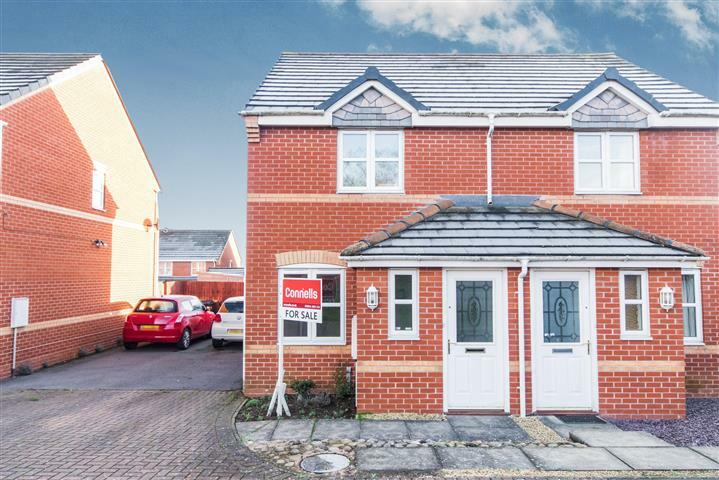 This 3 bed semi is marketed by Harrison Murray for £134,950. 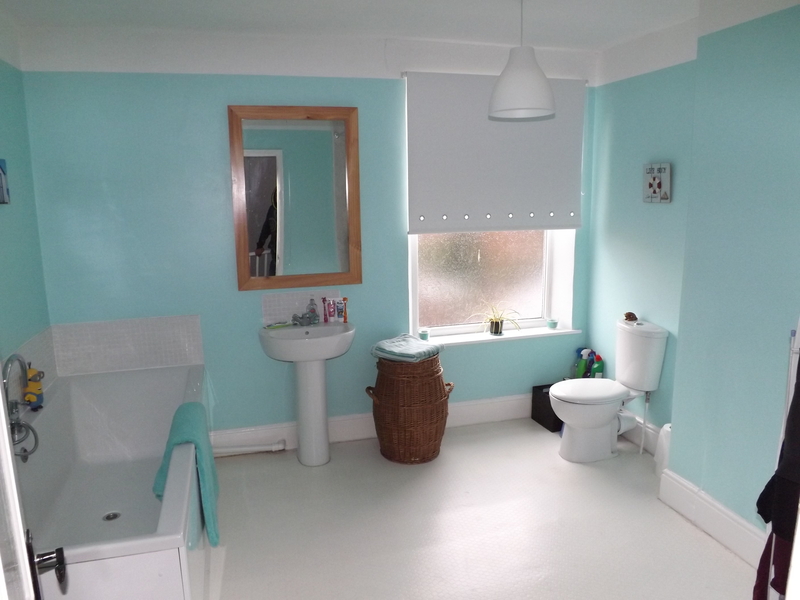 It looks to have been modernised and in a popular area with tenants. 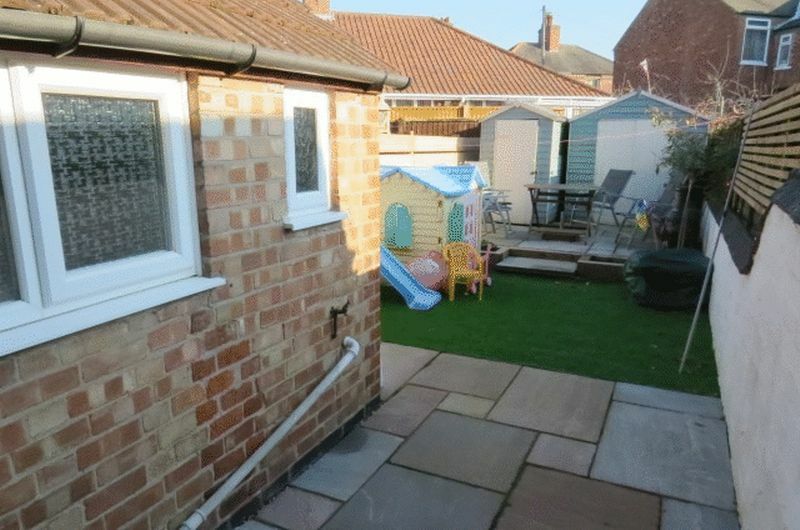 It has the potential for a garage and a large garden which should ensure capital growth. 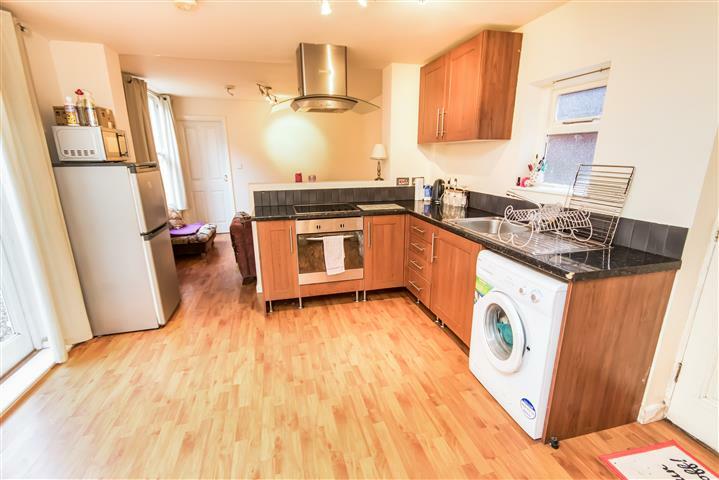 It should let for £575 pcm which, if you were to purchase it for the asking price, would give a yield of 5.1%. 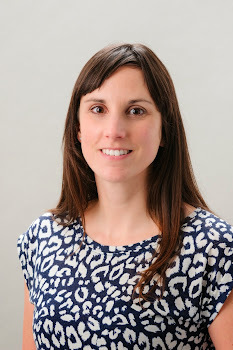 What does 2016 have in store for the Melton Mowbray Property Market? Melton Mowbray house prices up or Melton Mowbray house prices down? ... and if so, by how much? Those of you who read the Melton Mowbray Property Blog will know I am not the sort of person who pulls punches nor someone who ever fails to give a forthright and straight talking opinion – so here are my thoughts for the 8,237 Melton Mowbray homeowners and landlords. The average Melton Mowbray property is 3.1% higher today than it was a year ago, which doesn’t sound a lot, but when you consider inflation is currently running at -0.1% (ie consumer/retail prices are dropping) and average salary growth is only around 2.5% pa, this is bad news for first time buyers as property affordability continues to decrease (although I was reading in The Times the other day that wage inflation (ie salary growth) is showing signs of weakening). Some commentators have said the higher stamp duty taxes announced a few weeks ago in the Autumn Statement for buy to let landlords, concerns over first time buyer affordability and the outlook of UK interest rate rises in 2016 will really dampen the property market. I hope you all read my previous article about what the new stamp duty rule changes would REALLY mean for Melton Mowbray landlords in my blog. I believe the real issue in the Melton Mowbray property market is the shortage of property to buy, as people either worry there will be no suitable house to move to, or cannot afford to upgrade. However, on the supply side, Mr Osborne said in his Autumn Statement that he will change the planning laws to ensure the government meets the pledge made at the General Election (back in May) of 200,000 new homes a year. All I can say is .. good luck George hitting those numbers! Why? Because houses take years to build .. not months .. so George and his fabled house building aside .... where does that leave us in Melton Mowbray in 2016? Well, talking of supply ... whilst Mr Osborne builds his properties (and let’s be honest - a week doesn’t go by without him being filmed on a building site with a high viz jacket and hard hat building a house here and there! ), let us look at the shortage of properties for sale. Back in October 2011, 358 properties were for sale in Melton Mowbray .. today that figure is 143. On the face of it, this means there is less choice for Melton Mowbray buyers – but it also means with a restricted supply of properties for sale .. it keeps property prices high for Melton Mowbray house sellers. Everything isn’t all doom and gloom though ... again back in October 2011, the average property in Melton Mowbray took 106 days to find a buyer .. latest figures state this has dropped to 82 days .. a drop of 23% in how long it takes to find a buyer. 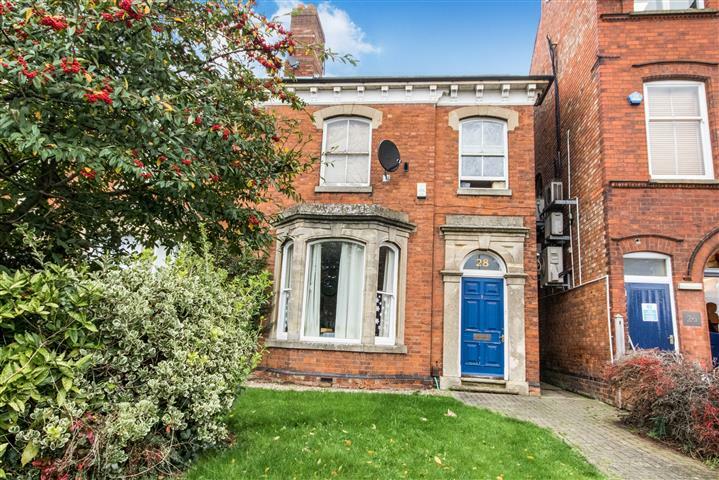 However, when you delve even deeper, the best performing type of property today in Melton Mowbray is the 4 bed, which only takes 75 days to find a buyer (on average) compared to the 1 bed, which takes 129 days. It just goes to show, even though the average has dropped since 2011, how varied that change has been! So, back to the question everyone is asking .... What will happen to property values in Melton Mowbray in 2016? I am going to suggest they will rise between 2.5% and 3.5% ... nothing out of the ordinary, but unless something cataclysmic happens in the world, 2016 will be like 2015! For more thoughts, opinions and views on the Melton Mowbray property market .. visit the Melton Mowbray Property Blog or drop me an email with properties you may be considering investing in and I will be happy to give you my honest opinion on their potential returns. Will the young people of Melton Mowbray ever own their own home? I had the most interesting chat with a mature couple (in their early/mid 50’s) from Burton Lazars the other day, whilst viewing one of our rental properties. The property wasn’t for them, but their son. We got chatting about the Melton Mowbray property market and how they had bought their first property in the town just after they got married in the late 1980’s when they were in their early/mid 20’s. Their son, like many 20 to 30 year olds in Melton Mowbray, desperately wants to own his own property. The parents said he had read in the Telegraph recently - when you compare house prices to earnings, the current 20 to 30 something’s generation have to spend more of their salary in mortgage payments than any previous generation. The demand for private rental sector accommodation in Melton Mowbray is huge. There are in fact 1,533 private rental properties in Melton Mowbray at the last count, not many when you consider there are 1,176 council houses in the town. However, let us not forget 8,237 properties are owner occupied (4,249 with a mortgage). Private renting doesn’t have the stigma it had a few decades ago and it might surprise people that even though us Brit’s class ourselves as a nation of homeowners, roll the clock back 100 years and over 75% of people rented their home. It might also surprise you to learn that at the time of the 1971 census, still more people rented than owned their own home. Looking at the affordability issue, I have proved time and time again, it is in fact cheaper to buy a property than rent, when one looks at starter homes for first time buyers. 95% mortgages have been available to first time buyers for over four years and whilst you could certainly find better properties in better condition in better areas, terraced houses can be bought for as little as the late £70,000’s in the Saxby Road area of Melton Mowbray (meaning a modest deposit of £4,000 would be required). When it came to affordability, I was able to tell them that when they bought their first house in Melton Mowbray in 1988, the ratio of house prices to salary was 5.08 to 1 in Melton Mowbray ... and here was the surprise for both of us, today’s ratio is only 4.96 to 1! I said I believed there had been a cultural attitude change towards renting property in Britain and that this quiet revolution was likely to be permanent. In the 60’s, 70’s and 80’s, buying a house was everything. Young people today have far much more disposal income than people had in the Callaghan and Thatcher years, but choose to spend it on the newest tablet or PC, newest 50” plasma LCD TV and two holidays a year, than go without and save for a deposit. So with mortgage affordability being well within the bounds of most first time buyers, the level of deposit required for a 95% being surprisingly modest (starting off at c.£4,000 in Melton Mowbray as mentioned above) until we change our attitudes, the UK housing market is slowly but surely turning into a more European model, where people rent for long periods of their life, then eventually inherit their parents properties and subsequently become homeowners themselves, albeit later in life. I cannot see the demand for decent, high quality rental properties ever dropping in the next 10 to 20 years, but only ever increasing as the population continues to soar. Just make sure you buy the right property, at the right price, in the right location. For honest opinion on properties you might like to consider investing in please call me on 01664 569700 or pop into our office on Burton Street. 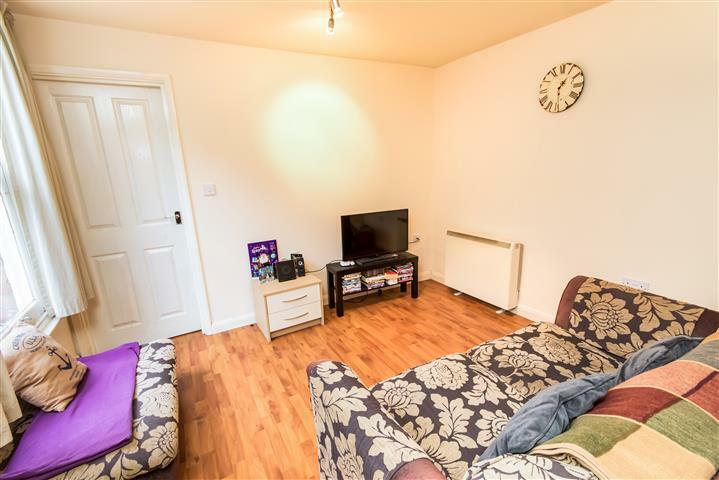 This ground floor, 1 bedroom flat is within walking distance of the town centre, and is in good condition. 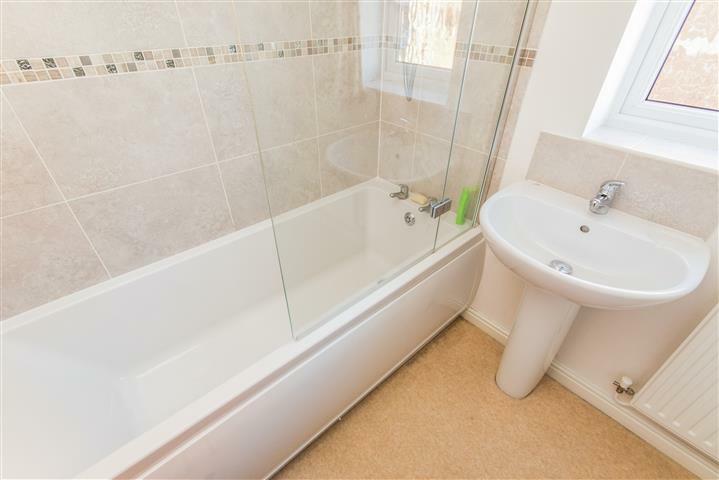 Refurbished a few years ago, it is situated within a period conversion and has the added benefit of a garden. Currently let out to a tenant at £395 pcm, it would see a return of around 5%. The property is being marketed by Connells, and is listed as freehold. I would say this requires some investigation before a purchase is made, as this is very unusual for a flat.